views over to Dundee and the Tay Bridge. Good access. good views all around. walked in from the village of Carrington,then along a field edge, quick walk over a ploughed field, (only about a 100 meter), then up a hillock. Trig in excellent cond. Not much to see here but trig in good condt, could be swallowed by the Hawthorn soon. 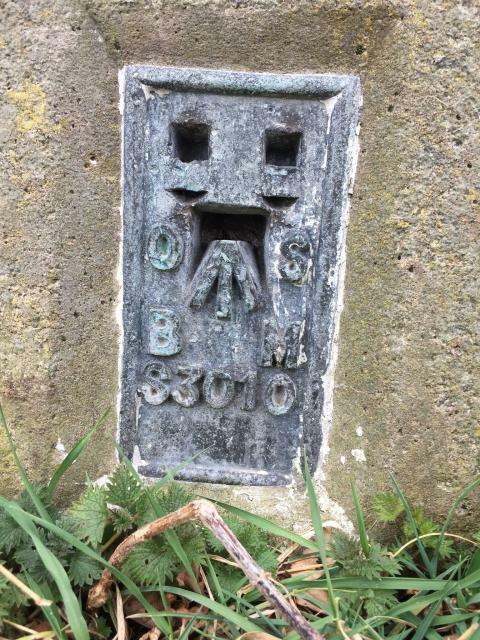 Easy to locate by the field gate. Good views all around. Situated just at the edge of a field up a slight incline. 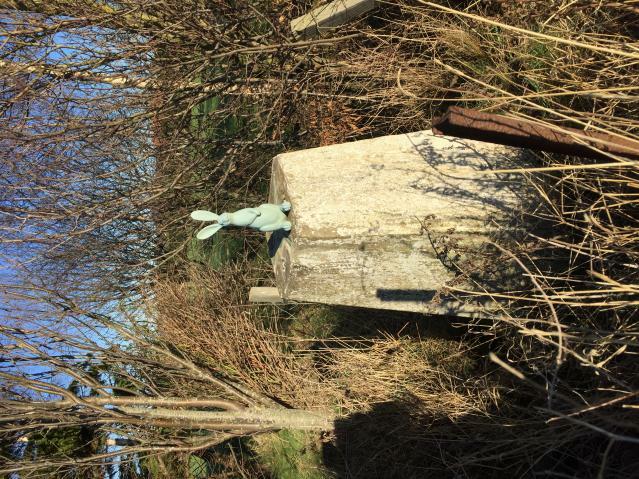 At the side of the road, drive by trig.Hawthorn hedge to the rear of the pillar. Flush bracket and spider good condition. good views over East Lothian. right beside Doon Hill ancient fort hill. Information board. Only a short walk, and two fences to negotiate. Not high enough to have spectacular views. Beside a rusting barbed wire fence. with a roll of fencing wire propped up at the base. There was a battle here in 1333.the battle of Halidon Hill. Very boggy walk through heather. 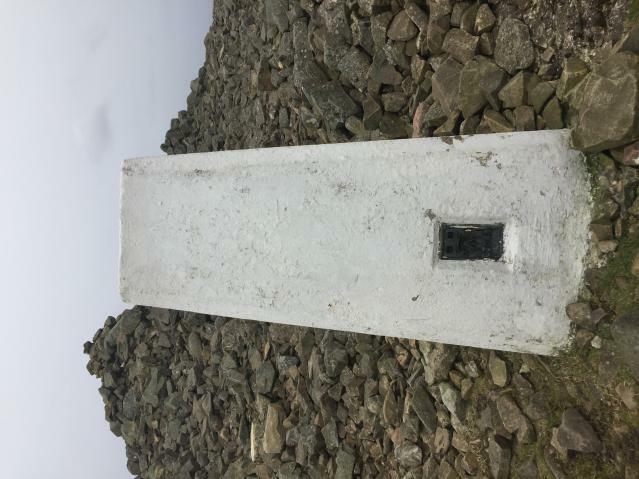 Some damage to the top of the trig purely due to weathering. Ingress of litchen and fungi. 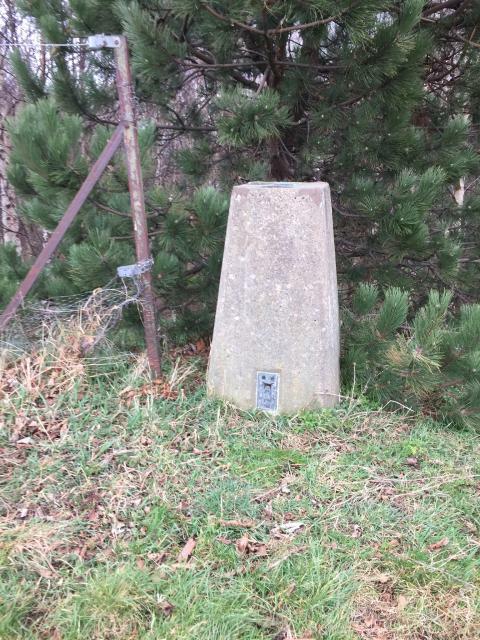 The trig is very green. Flushed out a few grouse on the way. Stunning views all around, right next to a cairn. Painted white. saw some white hares here. bit of a steep climb.Liked the Whales Jaw bone replica. great views all roung. Stunning views all around. Flush plate and spider good. Situated next to mast. Finding my way into this caused a few problems. After checking it out on the OS map I plotted my route and went for it. 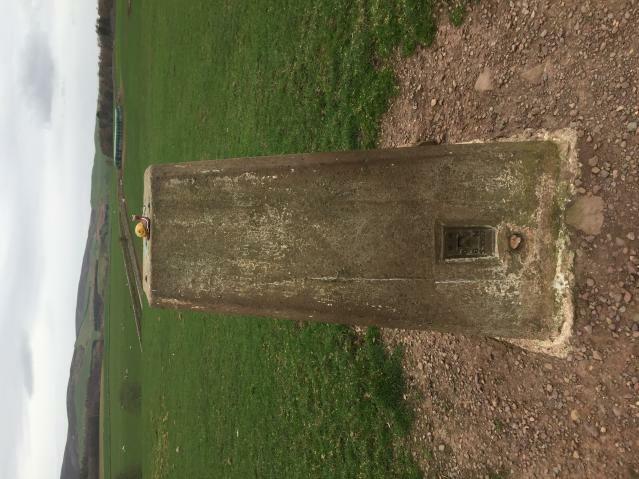 This trig point is right in the middle of a field. Parked car at field gate and walked along the edge of the field up a path. Good views all round. The farmer appears to be farming and ploughing right up and very very close to the trig. It only has a little clump of grass to sit on. The ground around is a bit eroded. Hedge and barbed wire fence on one side. Views across field on other side. Views to Haddington. In a few years this will have grown in to the hawthorn hedge. could not get photo of the top due to the hedge. Beside farm gate. Excellent climb to the top. Thundery skies. Plaque on the TP reads DO NOT FEED THE PONIES. Excellent views all round. Views to Crystal Rig wind farm, on a clear day a view of The Bass Rock. Cold blustery day, busy with tourists. Partially painted white. Lots of the paint has been rubbed away. Growing alge. My visit was during a gale.Had parked in the car park with honesty box. several fences to climb over to get to Trig, clear hill top with gorse on lower slopes.